As with so many songs credited to both Lennon and McCartney, only one of the pair actually wrote "Yesterday," Paul McCartney. His working title was "Scrambled Eggs" and only he was in the studio when the number was recorded on 14 June, 1965 (the string quartet was added three days later), even though this recording was credited to The Beatles as a whole. The number first appeared on the LP "Help! 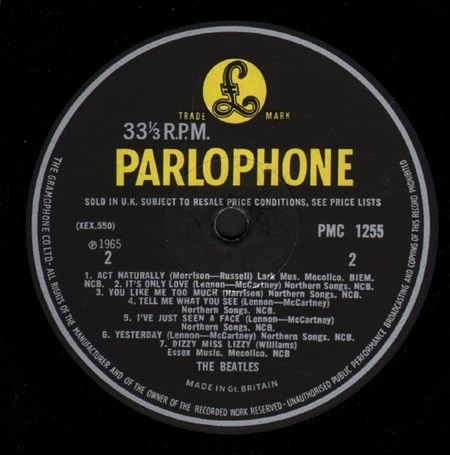 ", issued on Parlophone, number PMC 1255. The first hit version was sung by Matt Monro in 1965 in the UK.